The 4th of July Weekend Sale at Tanger Outlet Mall offers shoppers a good opportunity to enjoy great shopping in Branson. During the weekend sale at Tanger Outlets Branson, you will enjoy extra savings of your favorite name brand outlet stores. Tanger Outlets Branson will feature Annual Sidewalk Sale on July 4 to 7. 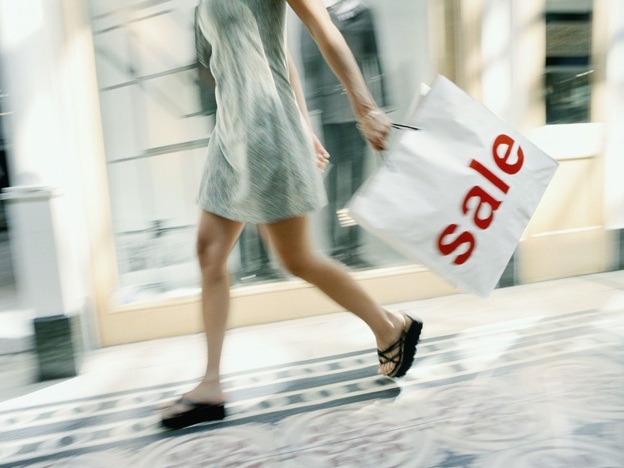 This mall-wide sidewalk sale event will feature great brands like American Eagle Outfitters, Gap Factory Store, Disney, Loft Outlet and Nike Factory Store where you save on the latest summer fashions and other great items for the whole family. Many of the stores at Tanger Outlet Mall sell a variety of name brands and designer fashions for the whole family including books, toys, housewares, jewelries, gift items and many other specialty items. Most merchandise that you find here include brand names like Eddie Bauer, Disney, Bombay Outlet, Izod, Big Dog Sportswear, Tommy Hilfiger, Wilson’s Leather, Kay Jewelers and more. Tanger Outlets is considered by many as one of the best shopping destinations in Branson as they have all the favorite name brands like Levi, Rue 21, Children’s Place, Big Dogs, GAP, etc that you can get at discounted prices and even more during 4th of July Weekend Sale. During the 4th of July Weekend Sale, it’s great to shop and save on merchandise that is on trend and in season, with great value and great price direct from the manufacturer. During this weekend sale event at Tanger Outlet Mall, you will find over 65 of the nation’s leading designer and brand name stores. As you celebrate America’s independence in beautiful Branson, Missouri, you’ll find several fireworks displays throughout the area as the town does it up big for the 4th galore at sidewalk sales, and many other holiday celebrations in some areas. If you want to see fireworks displays and other outdoor events during this remarkable day in Branson, you’re encouraged to bring your own chairs. Although some venues offer seating, make sure you arrive as early as possible to get the best view. As 4th of July is a popular holiday event in Branson, allow a little extra time to travel from point to point. You may need also to reserve your lodging and show tickets several days in advance. Don’t forget to take advantage also on some of the wonderful vacation packages offer at some hotels. During this memorable holiday event in Branson, you will see spectacular Fireworks Display at Chateau on the Lake as they celebrate Independence Day with an outdoor BBQ event, complete with live entertainment. During the 4th of July celebration at Chateau on the Lake, you see a grand Fireworks Finale at dusk. You can see this spectacular fireworks display by boat on Table Rock Lake, near Moonshine Beach and from the Chateau’s public areas. Shopping in Branson can be enjoyed best if you shop at the Tanger Outlet’s 4th of July Weekend Sale in Branson as you will enjoy extra savings on your favorite name brand outlet stores.